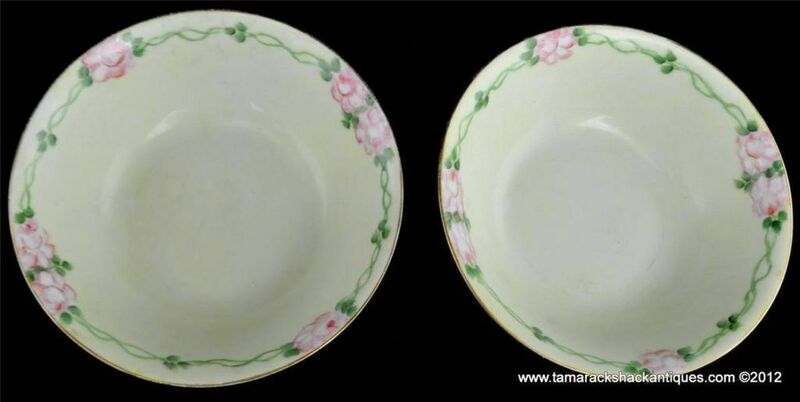 For your consideration is a set of 2 Hutschenreuther Selb Bavaria soup/ cereal bowls. The bottom says Hutschenreuther Selb Bavaria, with the numbers 3123 on the bottom and NAZEL M. etched in the bottom of them. There are no chips, cracks, or fleabites. The bowls are a yellowish color with gold trim on the top and hand painted flowers on the top with vines that are connecting them. The bowls are 6 3/8″ diameter x 2″ tall. Please see the pictures for more detail. Thank you!